A truly great thing about the new Smartphone models is the fact that their manufacturers are continuously developing different applications that allow users to upgrade their devices. Therefore, the users are able to add more and more functions, which improve the functionality of their mobile units. Obviously, this thing gives them the impression that they are in the possession of some truly smart phones which maintain their great ability of offering something new all the time. 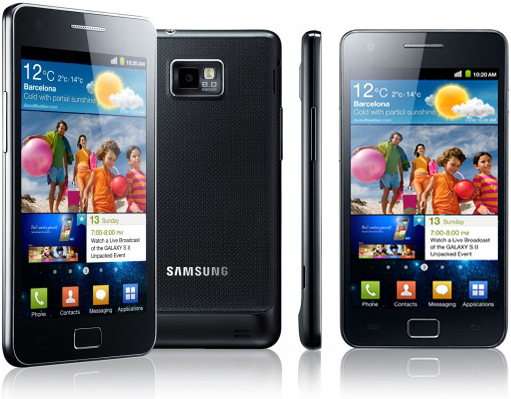 The truth is that the Samsung Galaxy S2 represents one of the best mobile devices that exist today. However, it is a well-known and proven fact that people are superficial, being always in the pursuit of something new. For this reason, even if this Smartphone can easily fulfill the dreams of many high tech geeks, the developer knows that they will start looking for a new, much cooler device very soon. Thus, in order to avoid losing its market share, Samsung has developed a series of updates, applications and accessories that can deliver Galaxy S2 users different attractive capabilities. Many users complain about the fact that the Galaxy S2 has a poor battery life. However, the specialists from Samsung explain that the battery life can be easily improved if the users disable the stuff that they do not use. Moreover, anyone who intends to increase the Galaxy S2 battery life should consider reducing the display brightness, placing the phone in locations with good signal reception, choosing the most appropriate signal connection, reducing or disabling the auto-sync function, and using static wallpapers. Another important thing that any Samsung Galaxy S2 user should know is the fact that lately, the developer has released an important update, which can improve the GPS readings, upgrade different applications, and improve the battery life and overall performance. Additionally, this update is capable to fix the well-known and annoying “pinkspot” in the built-in camera. Besides the recent application, Samsung has previously released a few updates, which were meant to fix different software issues, including responsiveness of various functions and auto-brightness capabilities. Additionally, the application Galaxy S2 SIM Unlock was developed to allow users to use their S2 on different mobile phone networks. Although the audio quality of this device is superior when compared to that of other similar products, the users who love high audio quality can work on this feature too. This thing can be easily done by installing the CyanogenMod 7 Music Player and DSP Manager. These two applications can improve the audio quality, including clarity and bass. It is important to know that the users who have already installed these applications are currently enjoying an amazing output difference. Obviously, if you like audio, you should definitely choose the CyanogenMod 7 Music Player and DSP Manager. As any other Smartphone developer, Samsung is continuously developing new updates that are able to deliver users some incredible surprises. Therefore, you should definitely stay tuned for any new applications that can help you to spice up your magnificent Samsung Galaxy S2.